Flying – 365, 74, originally uploaded by Fluttering By. 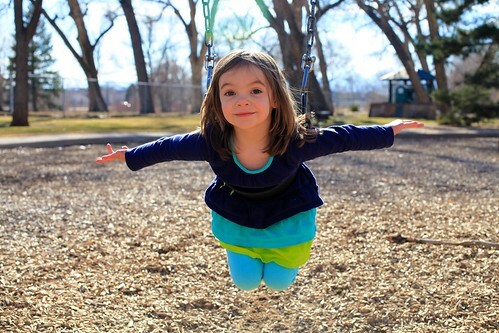 At the park today, Molly jumped on the swing and flew away. « Happy Birthday to Daddy!